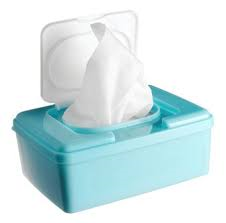 On October 27, the FDA announced that all lots of baby wipes that Nutek Disposables manufactured under various brand names are recalled because some packages may contain bacteria. In light of this news, AttorneyOne, a recognized authority on law, updated the website providing detailed information to consumers. AttorneyOne.com, a recognized authority on law, update the website daily regarding all the latest information from the FDA on Baby Wipes. The FDA announced on October 27, that all lots of baby wipes manufactured by Nutek Disposables, Inc. under the brand names Cuties, Diapers.com, Femtex, Fred’s, Kidgets, Member’s Mark, Simply Right, Sunny Smiles, Tender Touch, and Well Beginnings, are recalled because some packages may contain bacteria. The reason for the recall is based on microbial testing, conducted by Nutek after receiving reports of discoloration and odor, that showed the presence of the bacteria Burkholderia cepacia (B. cepacia), in some of these products. People with certain health problems including weakened immune systems or chronic lung diseases, particularly cystic fibrosis, may be more susceptible to infections with B. cepacia. The specific brands were distributed prior to October 21, 2014 to: Diapers.com, Walgreens, Fred’s, Family Dollar, and Sam’s Club. AttorneyOne.com has further information on Baby Wipes at the website including the latest major drug, food, and medical products law news.